Cop Security is proud to announce the release of Dahua Technology’s 4K next generation IP range. Dahua 4K is a next generation IP technology, offering up to 4 times the resolution of current HD CCTV. 4K provides users with better zoom capabilities and delivers greater detail out of an image than would have previously been possible, even with a higher megapixel camera. The Dahua 4K range offers high clarity images and can reduce installation costs. The greater pixel density of 4K resolution offers enhanced video analytic capabilities as improved image quality could double detection ranges. Fewer cameras are required to cover a larger area, saving time during each install. Cop Security’s initial product launch includes two NVR’s and three cameras. The NVR’s consist of 8 & 16 channels with PoE across all ports, both offering 4K recording, playback & live display. The NVR’s also support up to 256Mbps incoming bandwidth, industry leading H.265 compression and free Dahua Smart Pro Surveillance System (DSPSS) software. The Dahua 4K cameras come in the three types – 4K Vandal Dome Fisheye, 4K Mini IR Vandal Dome & 4K Mini IR Bullet. The 4K Fisheye is an industry leading product that offers an angle of view of 185°/185°/185° and captures images at 15fps @ 12MP & 25/30fps @ 3MP. The cameras also have multiple correct mode, alarm in/out, audio in/out and micro SD card support. Both cameras come with a 4mm fixed lens and can capture images at 7fps @ 4K & 25/30fps @ 3MP. The vandal dome has an IR distance of 20M and the bullet has a distance of 30M. All cameras come complete with PoE compatibility, dual streaming, Onvif compatibility, digital WDR, day/night with IR cut, progressive scan CMOS & Management via Dahua Smart PSS. 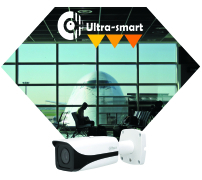 Professional trade only CCTV security products distributor COP Security, will be out in force at IFSEC 2015 on more than just one stand! 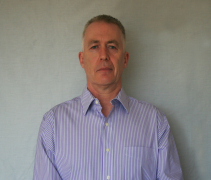 Underlining their continual commitment to supporting UK installers with the highest quality of product support, COP Security has announced the appointment of Martin Butterworth to the role of UK Sales Manager.